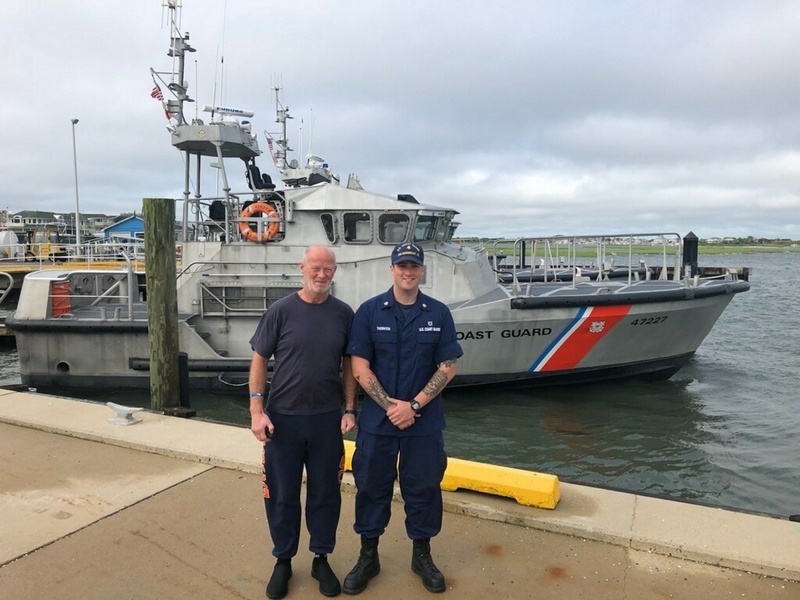 A rowboater who was planning on crossing the Atlantic Ocean in his small craft was rescued off Ocean County on Monday morning by highly-trained U.S. Coast Guardsman. The 52-year-old daredevil, Duncan Hutchison from Lochinver, Scotland, was rescued about 20 miles off Ocean County’s Barnegat Inlet by personnel from Station Barnegat Light, one of the few designated “surf stations” on the east coast. He departed a marina in Manhattan over the weekend, but his 3,400 mile row back to his hometown across the pond was dramatically cut short. According to a statement from Public Affairs Detachment Atlantic City, watchstanders at Coast Guard Sector Delaware Bay (which has jurisdiction over Ocean County waters) received notification at about 11:20 p.m. Sunday via a VHF marine radio from the operator of the rowboat, named Sleipnir, that it was beset by bad weather while attempting the transatlantic voyage. Coast Guard officials said the weather on scene was reported to be 21 m.p.h. winds and 8.5 foot seas. Once on scene, the Coast Guard boat crew, utilizing a 47-foot Motor Life Boat, removed the man from the rowboat and transferred him to their own. The Rescue 21 system is a computer-driven positioning system that triangulates the position from which a distress call is received. Hutchison’s daring journey was well-covered in Scottish media over the last several months. The Press and Journal, a newspaper based in Aberdeen, Scotland, interviewed Hutchison in April. 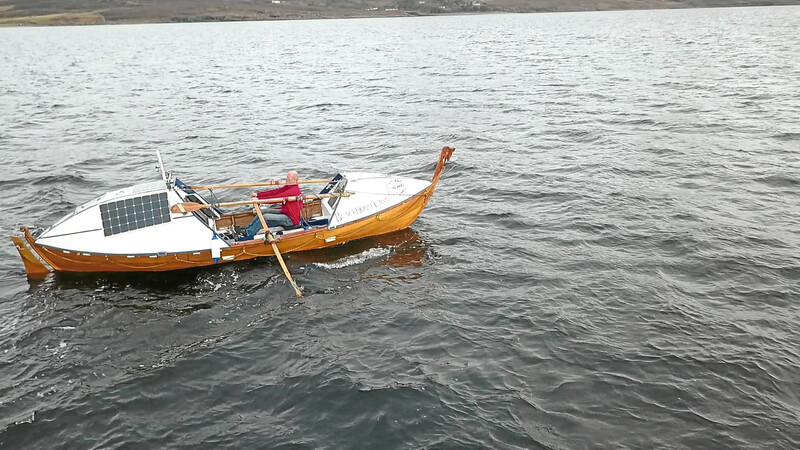 He told the newspaper that he hand-built his row boat and was planning 12-hour days of rowing to reach his destination in about 100 days. He was rowing to raise funds for WaterAid, a charitable organization that promotes clean drinking water in developing countries. Airtight capsules were added to the boat’s hull to make it “unsinkable,” he said. “I love when the weather is wild, or as I like to describe it, ‘alive,'” he told the newspaper. It was not known if Hutchison would be continuing his journey. Coast Guard officials say he was uninjured.